One subject I know can drive any renovating homeowner crazy is the burden of making choices that won't soon fall out of fashion. Particularly in the kitchen where every decision can represent a small fortune and a nightmare to replace. 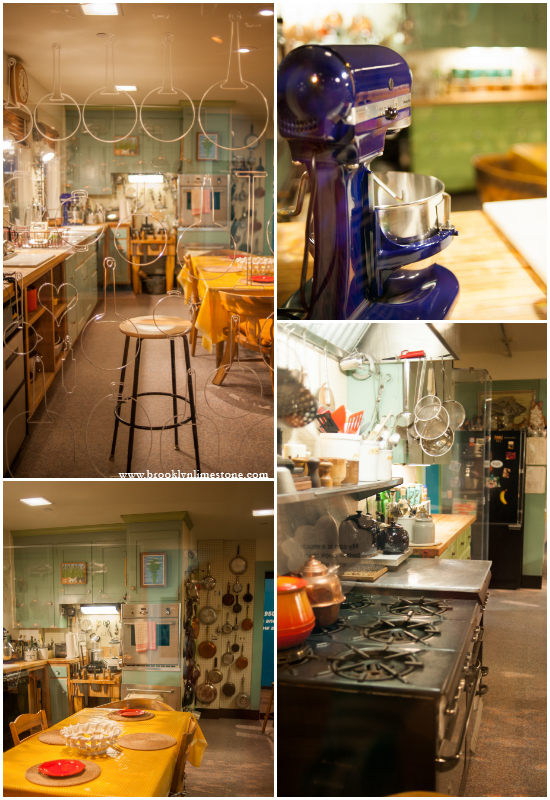 So sometimes its nice to be reminded that true style never goes out of fashion and that is no where better represented than in Julia Child's kitchen. Old fashioned in every way, it retains it's warmth and most importantly its function - not unlike Julia herself. Who wouldn't love to cook here? Lots to love here: that range! the beautiful green of the painted cabinetry! the big table you can can just imagine lots of wine and stories shared over! a shelf stuffed full of cookbooks!  Its a beautiful testament to the fact that not all that glitters is not new and stainless. What do you think? Do you like it? Does it make you feel better about not being quite so worried about your decorating choices? You can practically feel the love in that room even through the pictures! Love it! I just saw this last year in DC!! I love the kitchen and wish I had it. It is not new and fancy but perfect. Classic and functional. This kitchen is where life was lived and food savored - the way it should be. She was so awesome-- and that kitchen. oh man. Actually, that's not a replica. 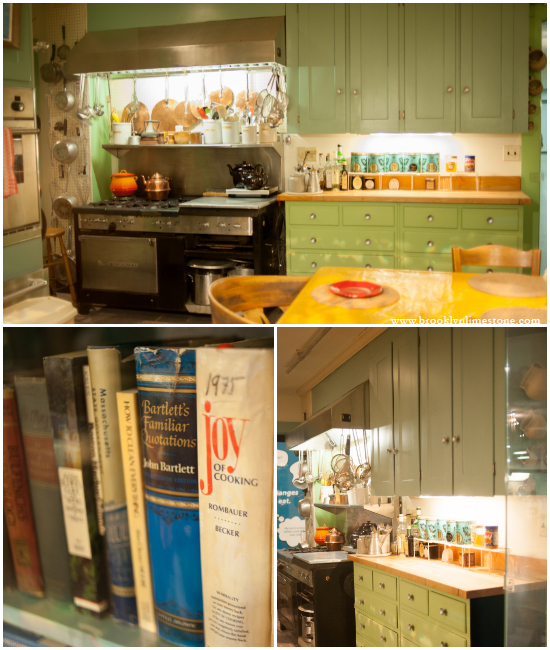 When she moved back to California 15 years ago or so, she donated the kitchen in her Massachusetts home to the Smithsonian. The cabinets, cookbooks, table, appliances, etc. are all hers. Oh really? I had no idea (must have missed that tidbit on the signage). That makes it even more cool! That is so cool. It would be fun to see it in person. We really like watching old episodes of her show... not the old old ones, but the ones with her and a guest. My 7 yr old and I love watching her with Jacques Pepin. New and fancy doesn't make perfect. Nothing in this world is perfect. I like that it is functional. Lot of great meals were made in her kitchen. That must have been so great to see! I love that range! It looks like a grandmother's kitchen ... and those are the best kind. I'm actually in the middle of a big remodel & I haven't worried about the trends at all in my choices. I have pinned a lot of images of things I liked but overall I'm choosing things I love & think I'll want to live with for a long time - it's my 1st remodel in living here for 24 yrs & I plan for it to be my last. I'm actually trying to copy the feel of my grandmother's kitchen. It's the same green as Julia's cabinets, just like my grandmother's. As someone who does a LOT of cooking, I couldn't agree more. I've been in a brand new, amazing home and tried to cook dinner. Only to think "some who never cooks designed this". Love the function and love in Julia's kitchen! Love this! So cozy and real. It's refreshing to see a kitchen designed for the purpose of cooking! And yes, that is her original kitchen, donated to the Smithsonian. So cool! So true, Katy! I feel quite snobby sometimes when I see someone's HUGE kitchen with all the bells and whistles and they reveal that they "don't really cook." Kitchens seem to have become another showplace rather than a workshop and I love seeing the kitchens of "real" cooks that look like they've seen a lot of good times.